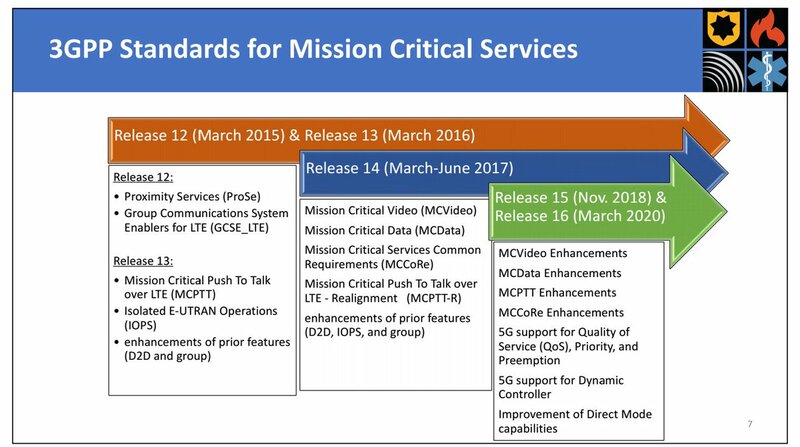 3GPP has published an overview of what has been achieved so far in the Mission Critical and also provides an outlook of what can be expected in the near future. A more detailed paper summarizing the use cases and functional aspects of Rel-13, Rel-14 and upcoming Rel-15 will be published later this year. 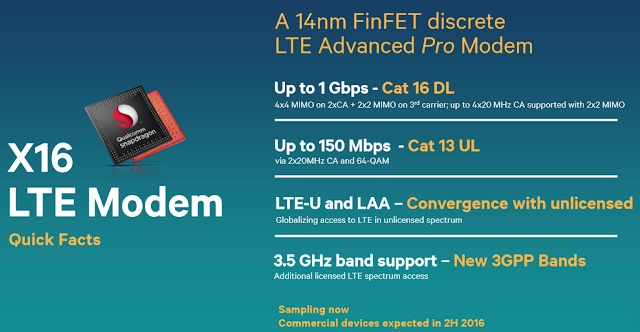 Release-14 features will be available by end of September 2017 and many Release-15 features, that is being hurried due to 5G will be available by June 2018. 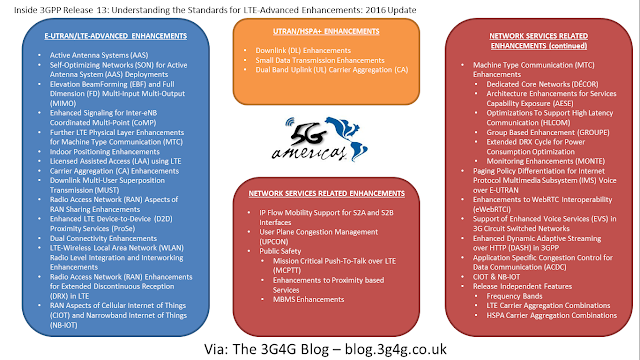 You have probably read about the demanding requirements for 5G in many of my blog posts. 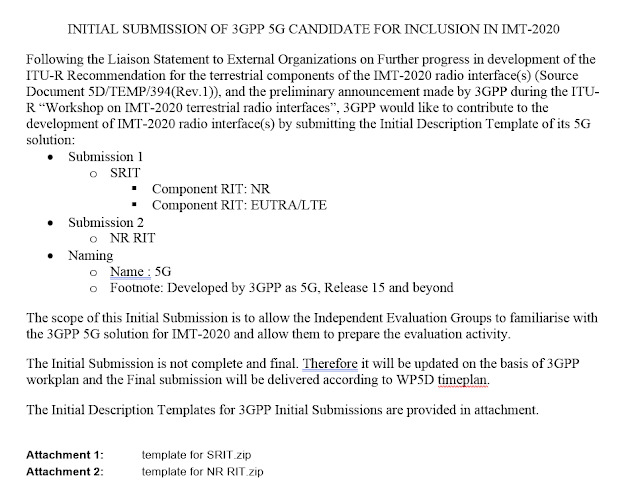 To meet these demanding requirements a 'next-generation radio' or 'new radio' (NR) will be introduced in time for 5G. We dont know as of yet what air interface, modulation technology, number of antennas, etc. for this NR but this slide above from Qualcomm gives an idea of what technologies will be required for this 5G NR. 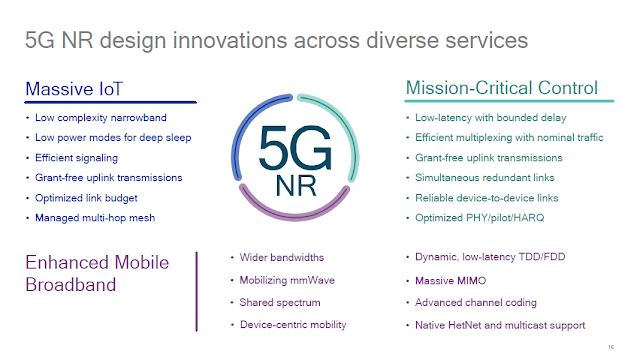 The slide above gives a list of design innovations that will be required across diverse services as envisioned by 5G proponents. 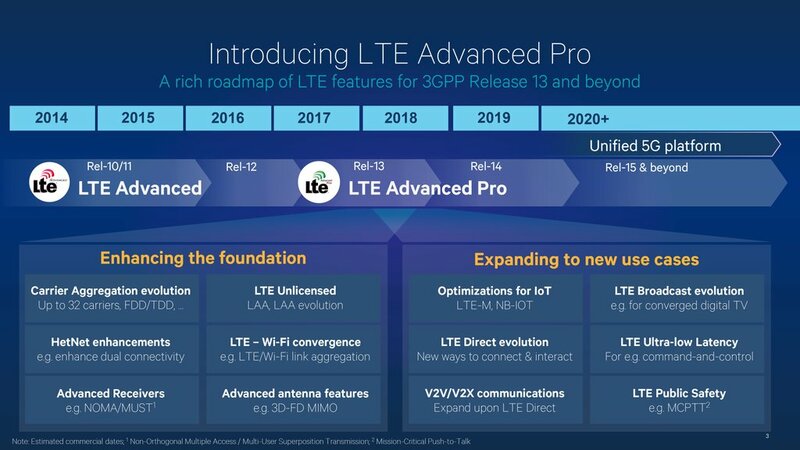 It should be mentioned that Rel-10/11/12 version of LTE is referred to as LTE-Advanced and Rel-13/14 is being referred to as LTE-A Pro. Rel-15 will probably have a new name but in various discussions its being referred to as eLTE. When first phase of 5G arrives in Rel-15, eLTE would be used for access network and EPC will still be used for core network. 5G will use NR and eventually get a new core network, probably in time for phase 2. This is often referred to as next generation core network (NGCN). 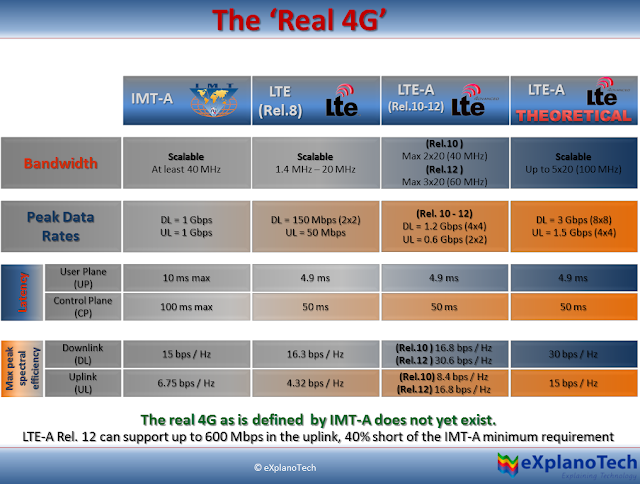 The slides below from Deutsche Telekom show their vision of how operators should migrate from eLTE to 5G. The slides below from AT&T show their vision of LTE to 5G migration. At this meeting RAN1 delegates presented and discussed numerous evaluation results mainly in the areas of waveforms and channel coding. Nonetheless RAN1 was not yet prepared to take many technical decisions. Most agreements are still rather general. First NR terminology has been defined. 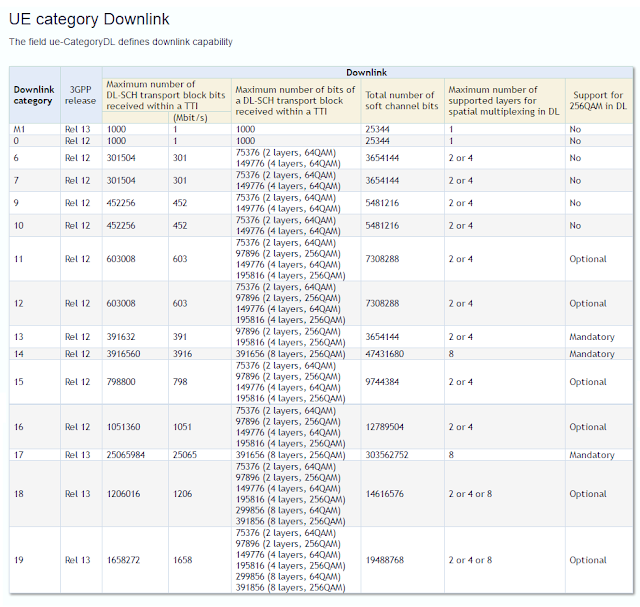 For describing time structures mini-slots have been introduced: a mini-slot is the smallest possible scheduling unit and smaller than a slot or a subframe. Discussions on waveforms favored filtered and windowed OFDM. Channel coding discussions were in favor of LDPC and Turbo codes. But no decisions have been made yet. Not having taken many decisions at this meeting, RAN1 now is behind its schedule for New Radio. Hopefully the lag can be made up at two additional NR specific ad hoc meetings that have been scheduled for January and June 2017. 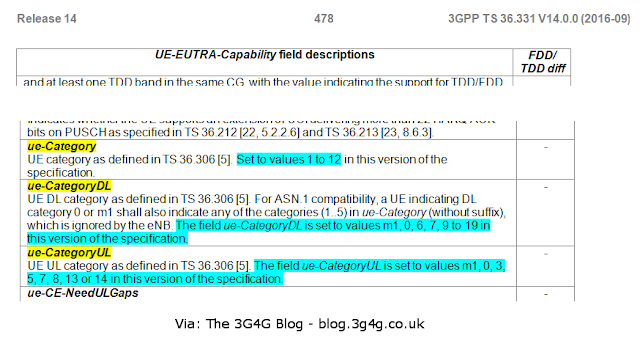 Yet another post from Eiko on 3GPP RAN 3 on related topic. The RAN3 schedule is that in February 2017 recommendations can be made for a protocol architecture. In the meeting arguments came up by some parties that the work plan is mainly addressing U-Plane architecture and that split of C- and U-plane is not considered sufficiently. 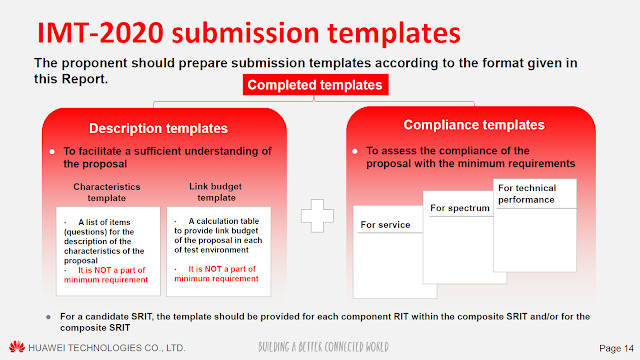 The background is that the first step will be dual connectivity with LTE using LTE RRC as control plane and some companies would like to concentrate on this initially. It looks like that a prioritization of features might happen in November timeframe. Beside UP and CP split, also the functional split between the central RAN node and the distributed RAN node is taking place for the cloud RAN fronthaul interface. Besides this, also discussion on the fronthaul interface takes place and it will be interesting to see if RAN3 will take the initiative to standardize a CPRI like interface for 5G. Basically on each of the three interfaces controversial discussion is ongoing. 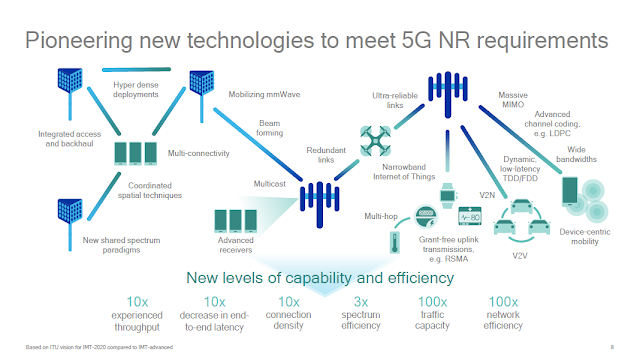 Yet another basic question is, what is actually considered as a “New 5G RAN”? 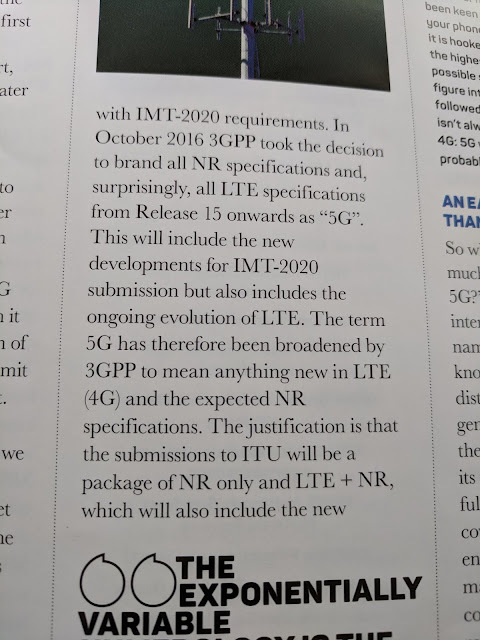 Is this term limited to a 5G eNB connected to the NG core? Or can it also be also an eLTE eNB with Dual Connectivity to 5G? Must this eLTE eNB be connected to the 5G core or is it already a 5G RAN when connected to the EPC? 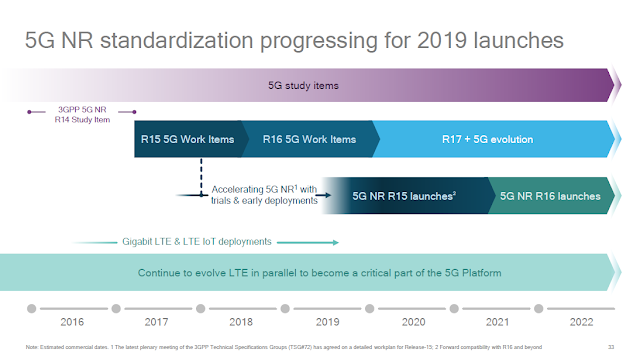 Finally, a slide from Qualcomm on 5G NR standardization & launch. 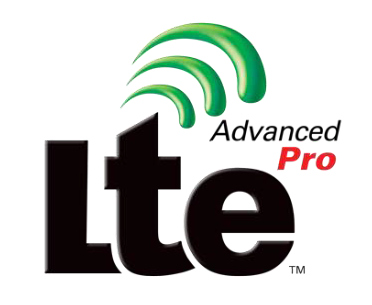 3GPP announced back in October that the next evolution of the 3GPP LTE standards will be known as LTE-Advanced Pro. 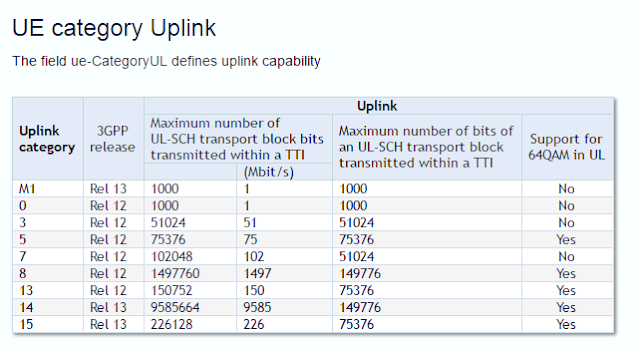 I am sure this will be shortened to LTE-AP in presentations and discussions but should not be confused with access points. 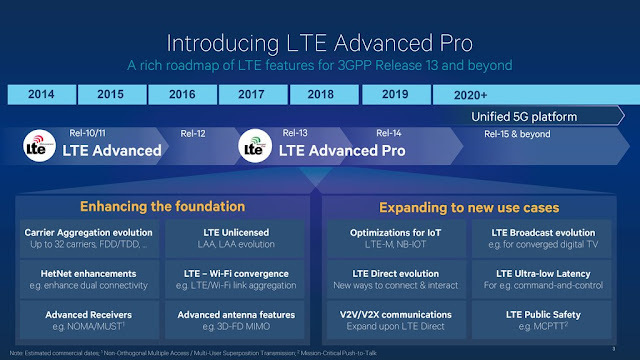 LTE-Advanced Pro will allow mobile standards users to associate various new features – from the Release’s freeze in March 2016 – with a distinctive marker that evolves the LTE and LTE-Advanced technology series. 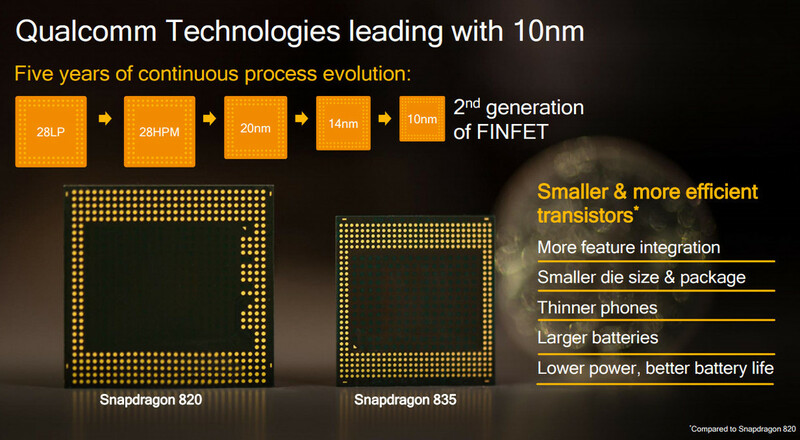 The new term is intended to mark the point in time where the LTE platform has been dramatically enhanced to address new markets as well as adding functionality to improve efficiency. The major advances achieved with the completion of Release 13 include: MTC enhancements, public safety features – such as D2D and ProSe - small cell dual-connectivity and architecture, carrier aggregation enhancements, interworking with Wi-Fi, licensed assisted access (at 5 GHz), 3D/FD-MIMO, indoor positioning, single cell-point to multi-point and work on latency reduction. Many of these features were started in previous Releases, but will become mature in Release 13. LTE-evolution timelinea 350pxAs well as sign-posting the achievements to date, the introduction of this new marker confirms the need for LTE enhancements to continue along their distinctive development track, in parallel to the future proposals for the 5G era. 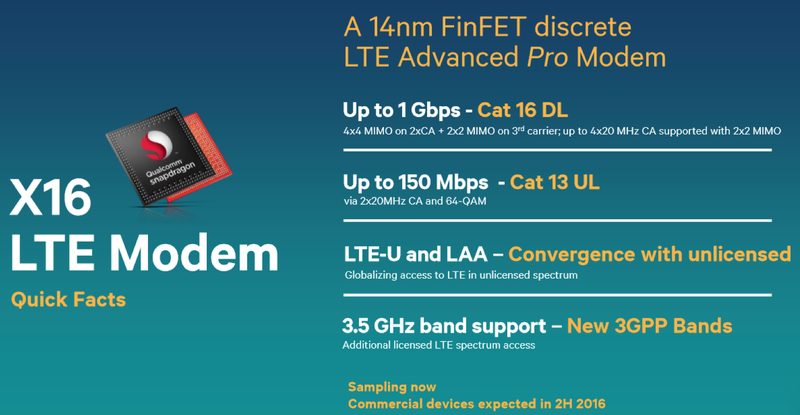 Some vendors have been exploring ways of differentiating the advanced features of Release-13 and have been using the term 4.5G. While 3GPP does not officially support 4.5G (or even 4G) terminology, a new term has been welcomed by operators and vendors alike. 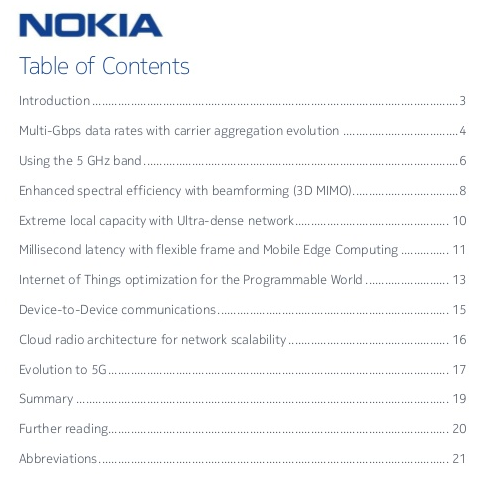 The Nokia whitepaper (table of contents below) can be downloaded from here.